I have said this before and will probably say it again: I love rice! And I am still amazed that it can take on so many flavors and textures. 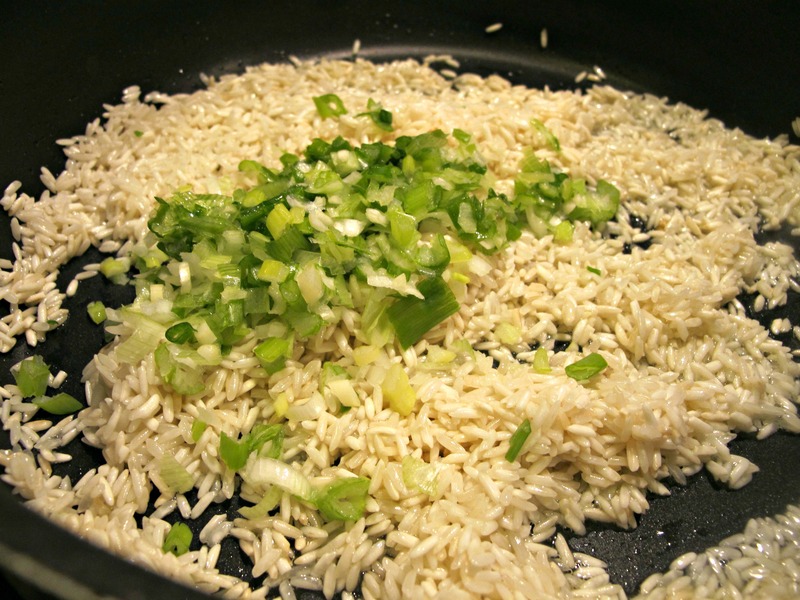 This is a savory rice recipe that works well alongside many dishes. 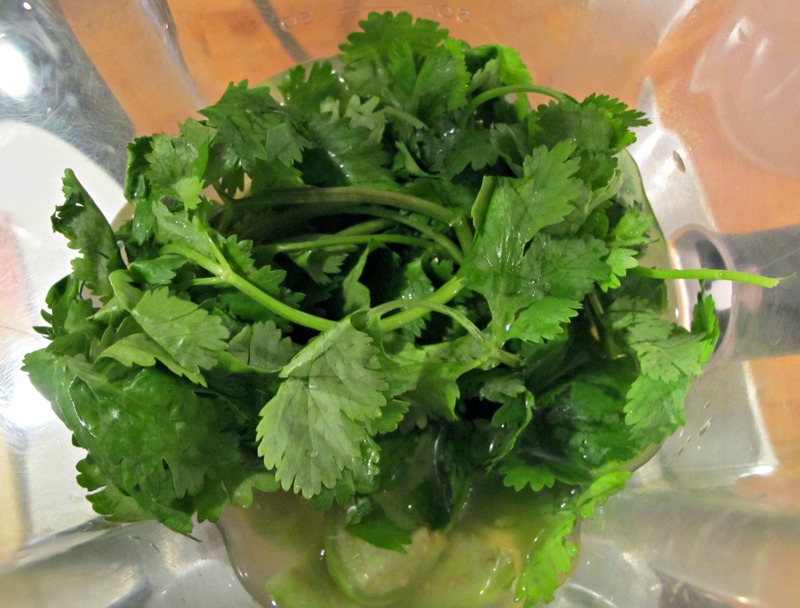 While cilantro usually has a strong flavor, its combination with the tomatillo and rice helps to give it a mild flavor. And it is so simple to make! 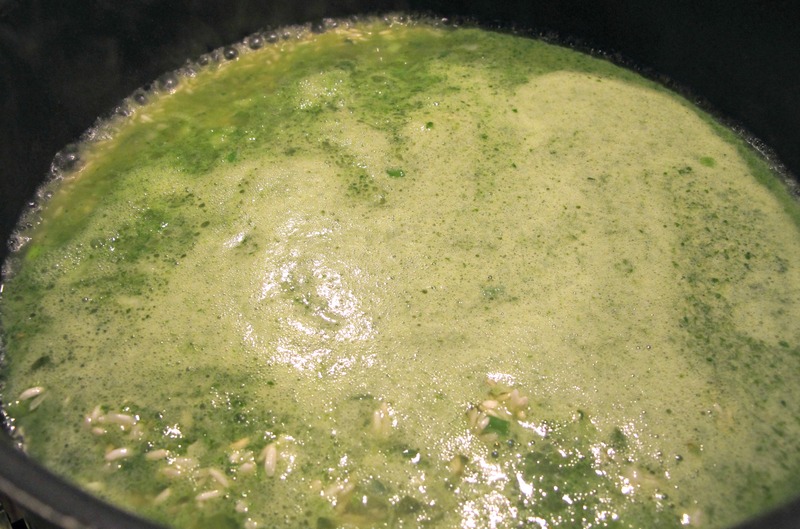 Add the tomatillos, cilantro and broth to a blender and blend until smooth. Pour the sauce into a measuring cup and add enough broth to make 2 cups. In a medium saucepan, heat the oil and add the rice. Cook the rice until it is opaque and is just beginning to brown. Add the green onion and salt. Stir to combine and then pour in the tomatillo-cilantro broth. Bring to a boil. When it reaches a boil, reduce the heat to low, cover the pan and cook for about 20 minutes or until the rice has absorbed the broth. Remove from the heat and let the rice rest for 5 minutes. 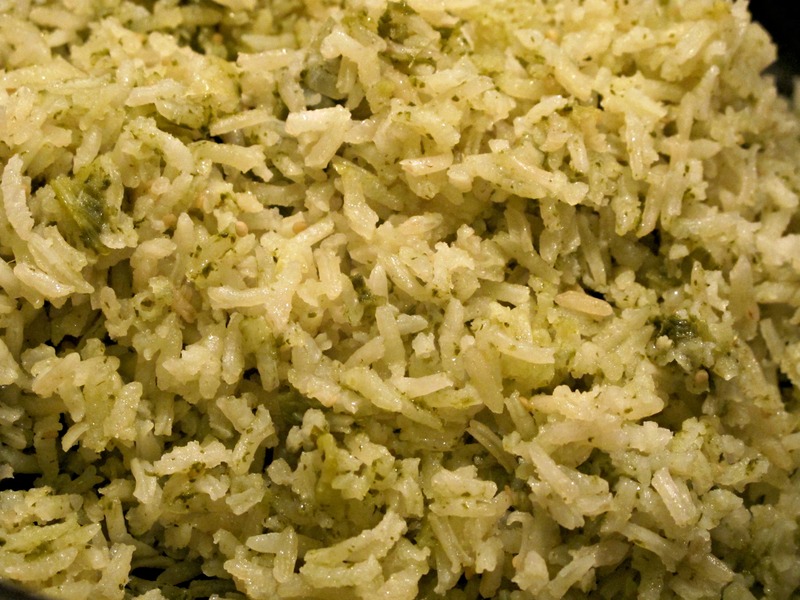 Fluff the rice with a fork or spoon before serving. 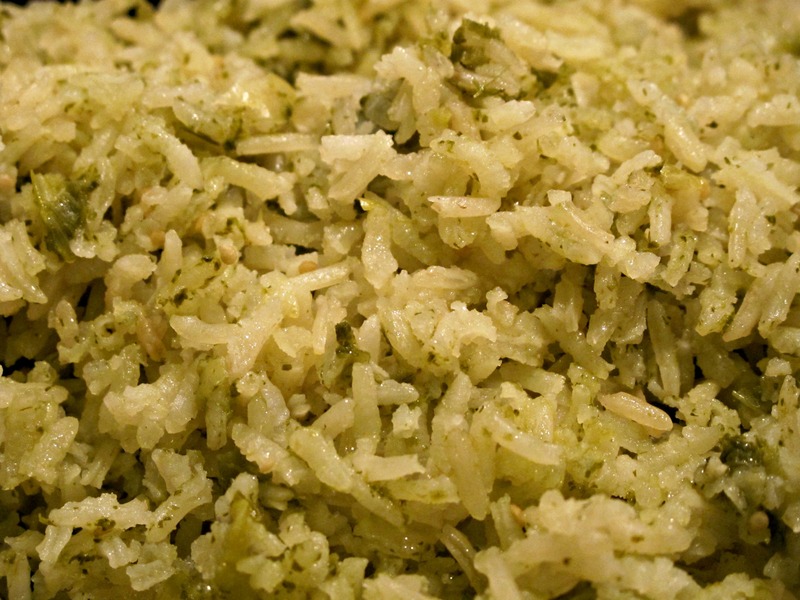 I never thought of using tomatillos for rice, even in arroz verde. Great looking recipe! Thanks! I find that I am using tomatillos a lot more than I used to. They add a great flavor to so many dishes. And I love the pictures on your website. They are beautiful.